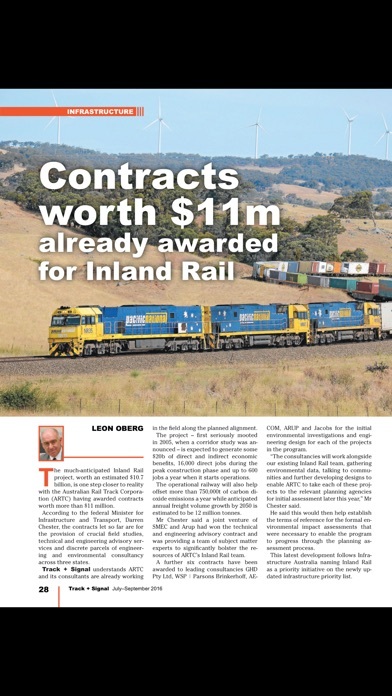 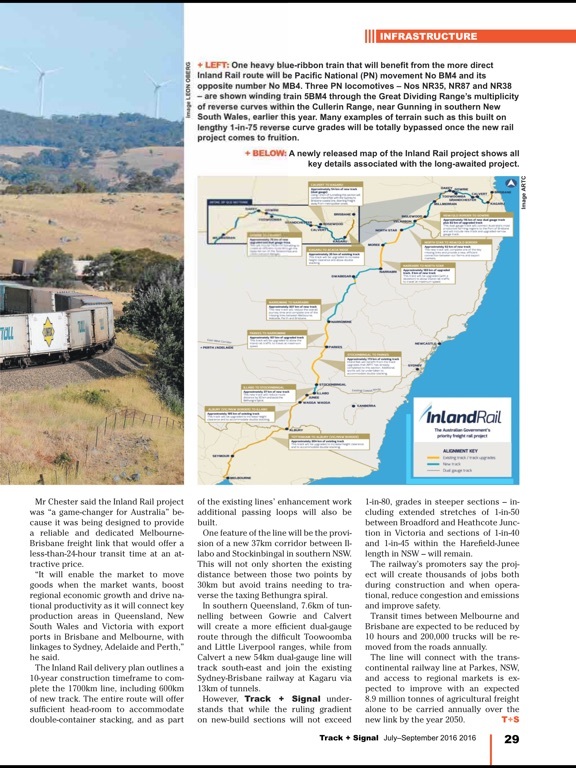 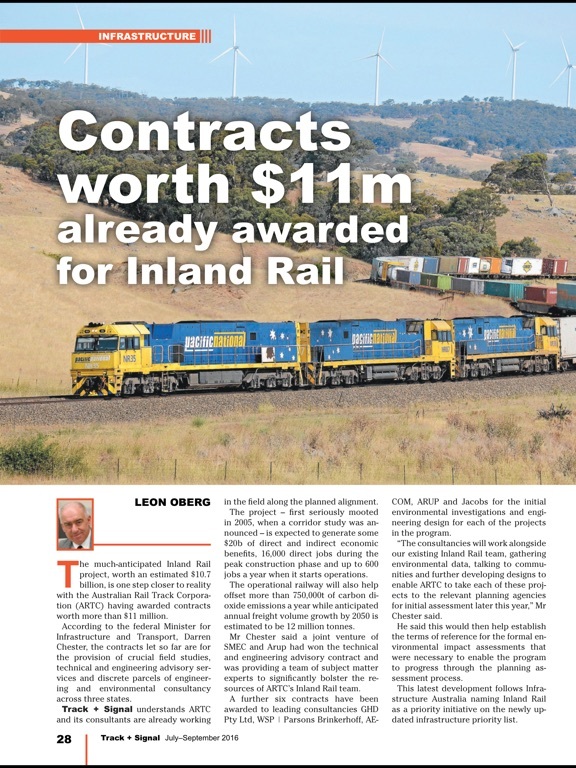 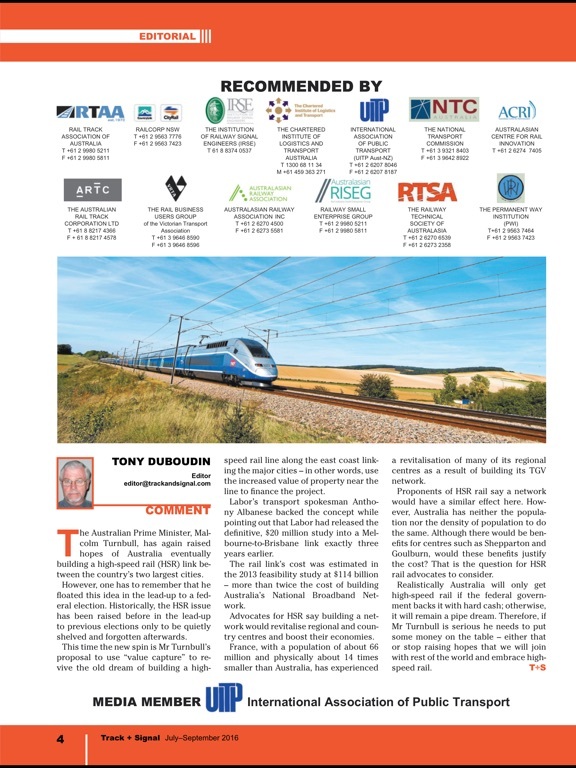 Published quarterly, Track + Signal is the only magazine dedicated specifically to the business of rail transportation in Australasia. 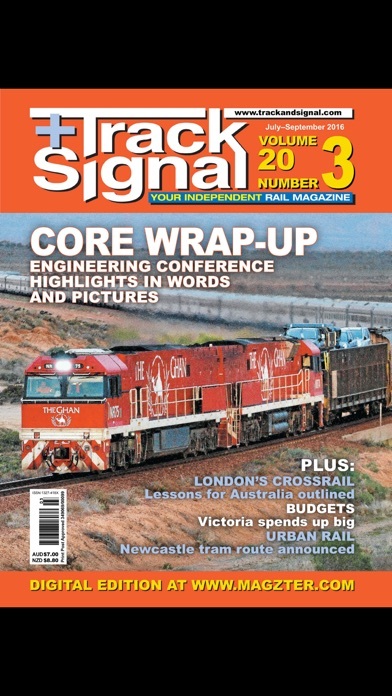 Its audience includes not only key corporate executives, engineers, politicians and other professionals within the rail industry but also serious amateur rail enthusiasts and those with a general interest in public transport infrastructure and technology and/or the rail heritage of Australia and New Zealand. 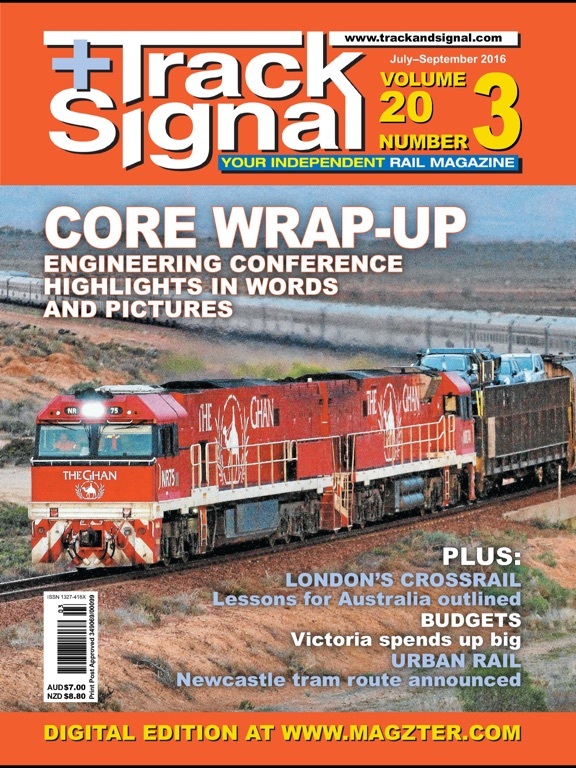 Each issue carries articles on new equipment, track and station construction and staffing appointments, news briefs, case studies, company profiles, opinion and analysis essays, and tributes to historic rolling stock throughout Australasia and overseas. 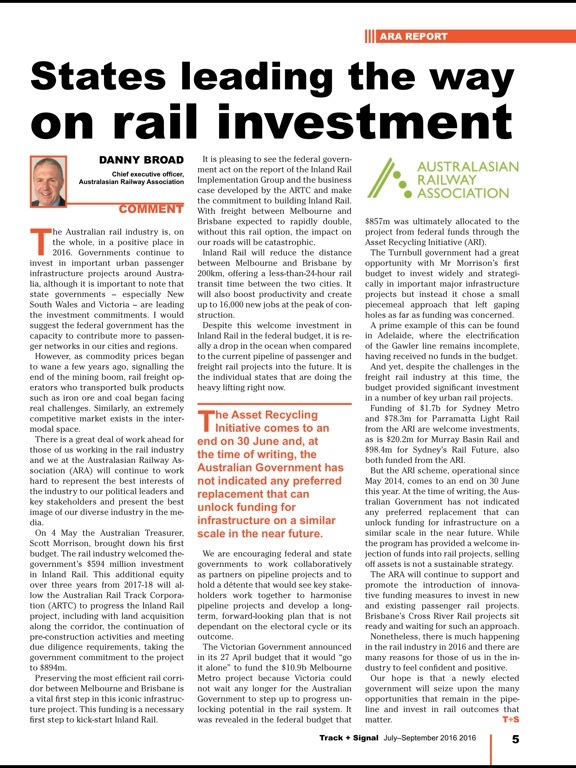 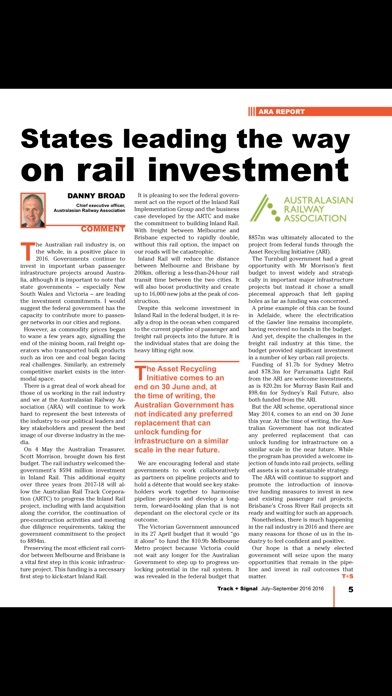 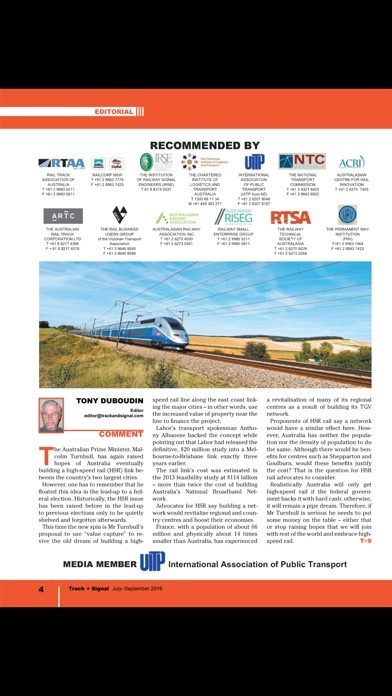 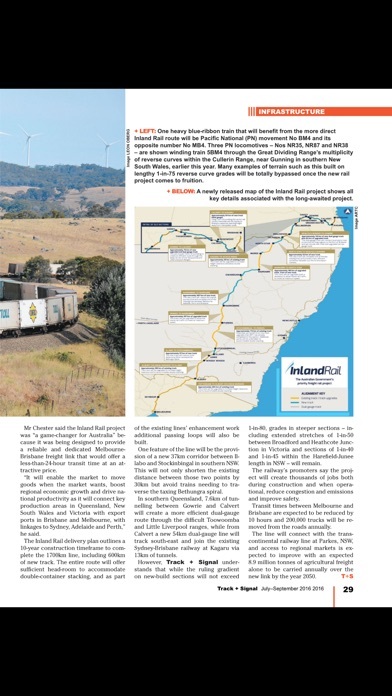 All content is aimed equally at experienced rail sector members and keen lay readers.